Sareena and Gaurav who now live and work in Boston met in an interesting fashion indeed, when they were little children in Gurgaon. Says Sareena, “My first memory of Gaurav goes back to when I was 5 years old! Upper KG to be precise! There was a celebration in school and I was participating in a dance sequence. I remember looking at Gaurav when I went to his classroom to practice with other kids. He moved to Delhi Public School (DPS) in 5th grade and as luck would have it, I moved there as well, in the 6th standard. We became friends on my first day in DPS. I was missing my friends from the previous school and Gaurav came to cheer me up.” Since then the couple has always shared a ‘best friends’ kind of a relationship and the duo believe this is what makes their relationship truly special. An architect by qualification, Sareena headed to the US for her graduate studies (in Sustainable Design) and Gaurav followed to pursue a course in Mathematical Finance the very next year at Boston University. “Fortunately I got a job in the same city and our story took off! We asked Sri Sri Ravishankar to keep us together in life and he showered his blessings on us! I guess our parents read our minds and the match was set,” says Sareena. Both Sareena and Gaurav’s families are based in Gurgaon, and since they are born and brought in Delhi, they have a large circle of friends, so they always knew they’ll have a big, fat Punjabi wedding with lots and lots of guests. 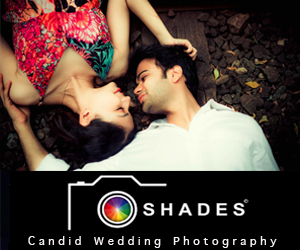 The couple’s wedding moments started with a pre-wedding shoot with Photographer Arjun Mahajan. “We decided on Neemrana Fort on the Delhi-Jaipur highway for the pre-wedding shoot. Right after we booked Arjun he insisted we take time out for a pre-wedding shoot so he gets to know us better- and I’m so glad we did. And fortunately for us, on the day of the shoot the weather was rainy and we were hopelessly romantic. And Arjun captured our love on the camera very well,” says a nostalgic Sareena. The pre-wedding events started with the girls’ side having an Art of Living satsang followed by a family dinner, sangeet and mehndi. The boy’s side at the same time had a pathh followed by dinner and sangeet. The venues for the same were their respective homes. “My parents asked me what I wanted for my wedding. I asked them to plan the wedding the way they’d like it to be- after all, it was their daughter’s wedding. The only thing I requested for was a spectacular engagement ceremony,” says a starry eyed Sareena. The evening engagement ceremony was held at Park Plaza, Sushant Lok Phase I, Gurgaon. “The celebration venue, on the hotel terrace with a poolside overlooking the whole city, was just beautiful. The highlight was the dance sequence where both parents along with our cousins performed for us,” recalls Sareena. The theme was ‘story-based’. Gaurav’s parents danced to ‘tum seeti bajana chhor do’ and Sareena’s parents to ‘aj kal tere mere pyarke charche’, while our cousins rocked the stage to Bollywood retro songs! The exchange of rings and Gaurav’s tilak ceremony followed. 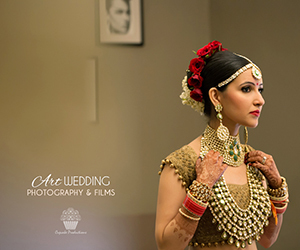 “I was presented with a red chunni, a saree, make-up and jewellery by my to-be in-laws. My younger sister surprised us with a two-tier cake as we raised a toast to the happy occasion. The whole event was put together by my two close orator friends who were the Emcee’s and they kept everyone entertained and laughing”, says Sareena. The event ended around midnight but the chit chat and joyous giggles continued the next morning itself as the guests gathered for the chooda and haldi ceremony at Sareena’s residence and the haldi and ghadighadola at Gaurav’s. The wedding took place at Utsav Gardens in Sector-5, Gurgaon where the coupleand their parents invited close to a 1000 guests. “The food was delicious and the arrangements great! 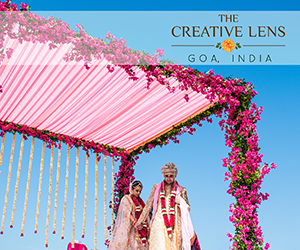 The ceremony lasted till the wee hours of the morning,” recall Sareena and Gaurav. Being in the US and planning a big wedding in India was a tedious task, admits Sareena. The first thing they finalised was the photographer. 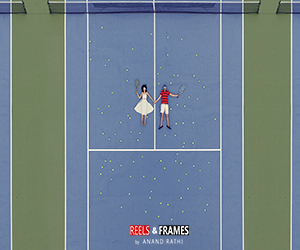 “After going through profiles of tons of photographers on WeddingSutra and Facebook and after writing many emails we chose Arjun Mahajan of Arjun’s Tryst with the Camera. He eventually became the key to me finding my make-up artist for both the wedding celebrations as well,” says Sareena. “A lot of research went into finding the key people to execute things for us. It was the only thing we could do here sitting miles away”, explains Sareena who followed the elimination theory throughout the process. For our new blog post series, ‘Long Distance Wedding’ we’re featuring couples living abroad who planned a wedding in their hometown in India. We want to hear your story, how you shortlisted venues and your experience with the wedding planner (if you hired one) and other vendors. 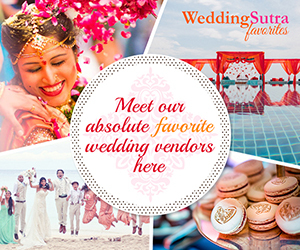 Write to us at editor@weddingsutra.com with your wedding photo and required details (below), and we’ll get in touch if you’re selected to be featured. This entry was posted on Wednesday, August 13th, 2014 at 9:22 am	and is filed under Bridal Fashion and Beauty. You can follow any responses to this entry through the RSS 2.0 feed. Both comments and pings are currently closed.